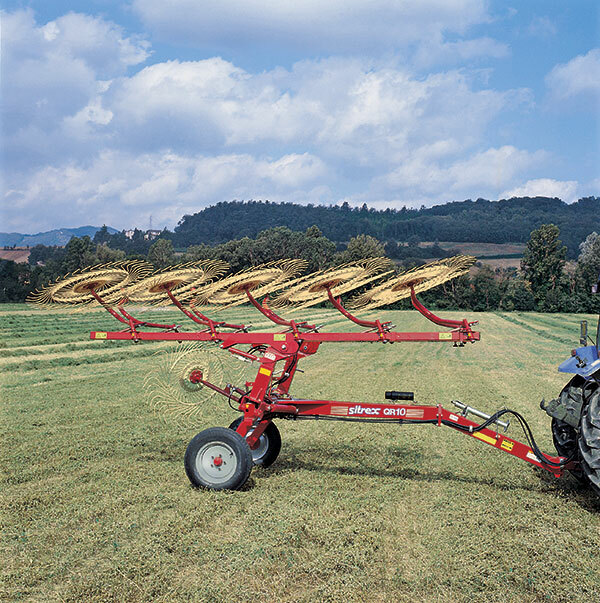 INNOVATION AND ADVANTAGES OF QR RANGE "V" TYPE WHEEL RAKES"
The new “V” type wheel rakes with 8, 10 or 12 wheels of the QR range give farmers the opportunity to use a machine featuring high performance in terms of both quality and quantity, combined with great simplicity of use. 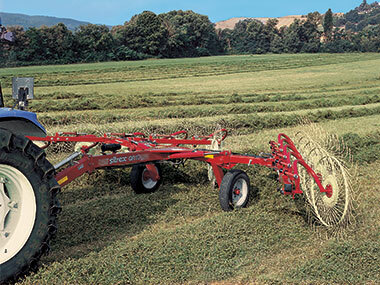 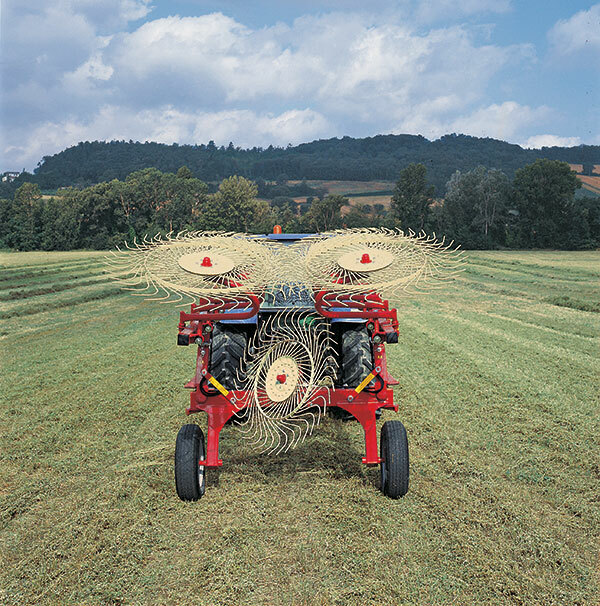 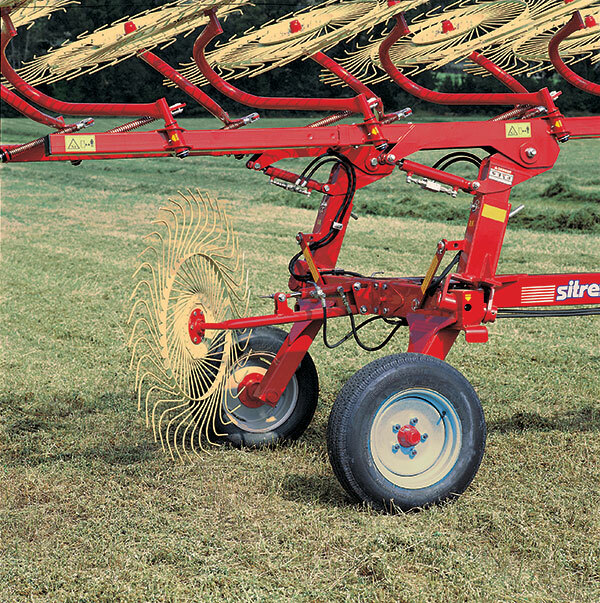 The machine is compact, but designed at the same time with plenty of clearance in the area through which the raked hay goes through. 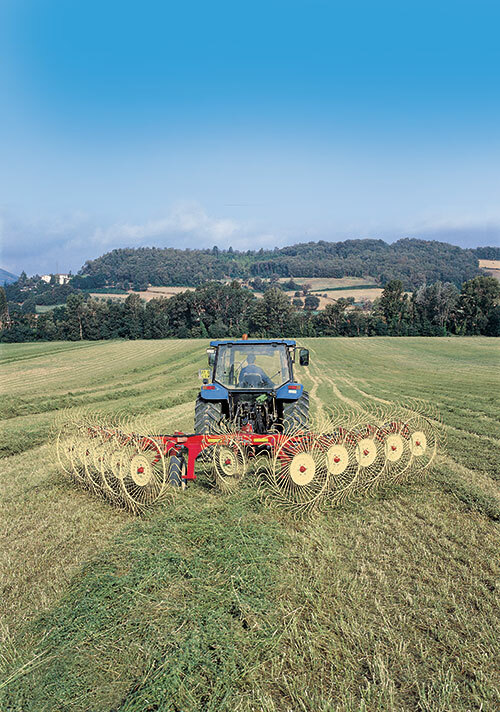 This gives the machine excellent operational qualities as well as maneuverability and stability both while working and during transport. 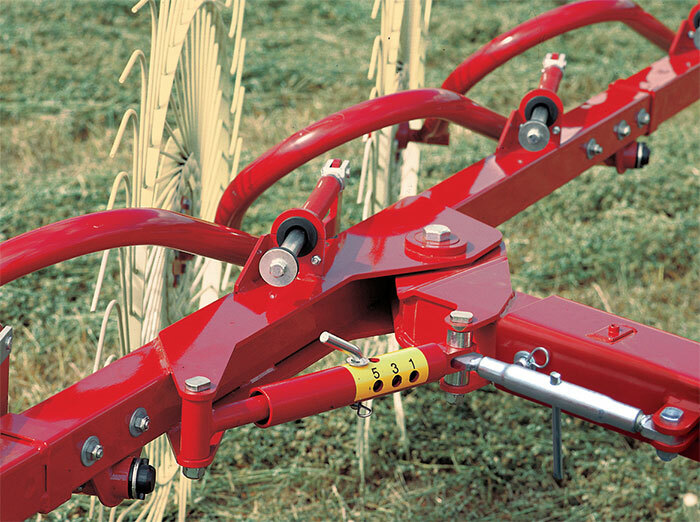 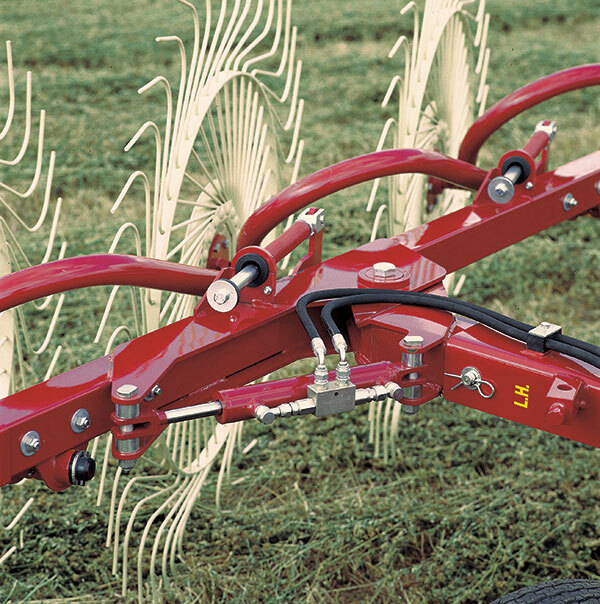 Thanks to the quality of the materials used and to the solutions adopted based on experience acquired in innumerable field tests, our QR range wheel rakes will meet farmers’ every need, with regard both to functions and to durability.